I would like to take this opportunity to share a story about a student that was attending our ‘Band Pride’ Program in the month of June, 2018. Betsy (not using her actual name) was a freshman trumpet player with a lot of potential, and had previously attended the Summer Pride Program because of softball. During the 2017/2018 year, the band directors became aware of Betsy’s natural talent as a trumpet player. Betsy was in a very dysfunctional family situation and was living at different family locations throughout each week. It appeared there was no stability in her life from family to school to any friends that she could connect with. 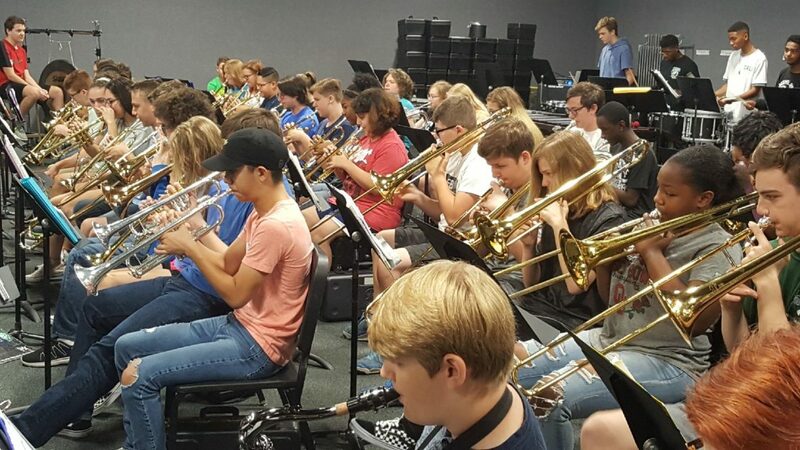 However, during Band Pride, because of a more relaxed atmosphere, no ringing bells and more time for students to hang out, it became obvious she was not only connecting with new friends in the band, but was also improving in her musicianship. It was a time of stability, she looked forward to being with the band program every day. We believed she had found what she loved and identified with in band. In the fourth week of school this semester, because of a very difficult home situation, she was taken out of the Muskogee school system. Needless to say, the band staff became very concerned. Then three days after she checked out of Muskogee Schools, one of my closest band director friends, director of Bartlesville Bands, called and said Betsy had enrolled in his band class. Alex is a very caring band director, and I was very excited to share both her story and background. A Win-Win: Not only had Betsy moved to a school with a quality band program, but a band with a very caring director and most importantly, she was brave enough, as a young band student to enroll in band class in a new environment, to continue on with what she loved. I am convinced it was Band Pride 2018 where Betsy found her identity and what she loved. I believe this confidence gave her the courage to continue band in a new environment and thankfully with a director who understands kids. There are many stories we could have shared, but Betsy’s story definitely stood out.